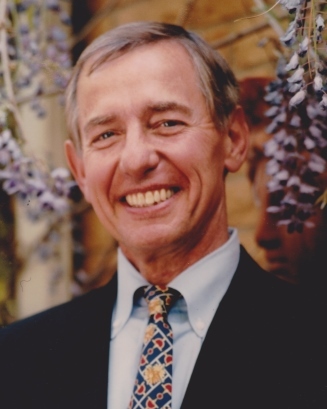 James J. Yoch, who challenged University of Oklahoma students with his demanding, energizing teaching style for 50 years, who was a landscape designer and lover of plants and whose zest for life was shared lovingly with his family, died Oct. 12 in Norman, Oklahoma. He was born Sept. 11, 1938, in St. Louis, MO, where he graduated from St. Louis University High School. His undergraduate degree was from Notre Dame, and he received his PhD from Princeton University. His teaching of Shakespeare encouraged students to grow and achieve in ways they often did not believe possible. He led generations to discover and appreciate the pleasures of plays through performance. His home was often filled with current and former students, even in the last week of his life. A fitting tribute to Dr. Yoch was that he was cared for in his last moments by a nurse who had been his student. In addition to Shakespeare, he taught many other courses including Literature in Landscape and the History of Landscape Architecture. He lectured widely on gardens and was an expert in the preservation and restoration of historic landscapes. He designed landscapes for private residences, university campuses, prep schools, resorts, and even horse and llama ranches. In his community, he designed the landscapes for Evans Hall and the Engineers’ Courtyard at the University of Oklahoma, the Ransom Hardesty Garden and Marion Garden at St. Thomas More, and the Cleveland County Courthouse. Jim loved exploring the intersection of his many passions in art, literature, and landscape design. He created the contemporary authors series (1968 – 1978), that brought 40 renowned authors to OU to inaugurate the creative writing program. In addition to scholarly articles, he wrote: Landscaping the American Dream about his landscape architect cousin Florence Yoch; On the Golden Shore about Phineas Banning, American businessman and financier; and A Guide to the Villa Philbrook and Its Gardens. He served as script writer and associate producer for the PBS program Isabella D’Este, First Lady of the Renaissance. He contributed often to popular journals like Architectural Digest and Garden Design. Dr. Yoch received numerous awards in recognition of his outstanding academic career. These included the Oklahoma Medal for Excellence in College and University Teaching in 2008 and the Regents’ Award for Superior Teaching in 1970. Jim and his wife Nancy recently celebrated their 50th anniversary. They raised their sons Michael and Stephen in a home surrounded by a profusion of beloved plants and flowers and filled with his infectious laugh and endless energy. He is survived by his wife Nancy; sons; daughters-in-law Kendra and Lisa; granddaughters Emelyn, Charlotte and Madeline; and sister Karin, brother-in-law Larry Todd, and their daughter Ana Todd. His parents were James and Mildred Yoch, deceased. A faithful member of St. Thomas More University Parish, donations in Dr. Yoch’s name may be made to St. Thomas More or the Norman Public School Foundation. A visitation will be held at the Havenbrook Funeral Home (3401 Havenbrook St., Norman, OK 73072) 12 - 8pm on Wednesday, October 17th. Family will be in attendance 5 – 7pm. Funeral services will be at St. Thomas More (100 Stinson St., Norman, OK 73072) on Thursday, October 18th at 10am.